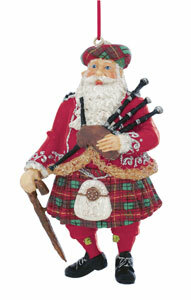 Green kilted bagpiper nutcracker 14" tall for your Christmas decor. 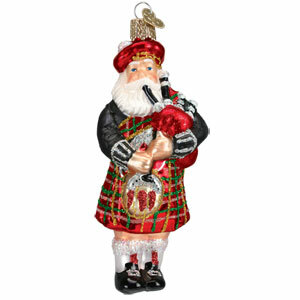 Our green piper nutcracker is fully dressed in a red and green tartan kilt with a painted green jacket, tartan tie, black glengary complete with a red pom on top and black ribbons down the back, and bagpipes over his left shoulder. His mouth opens and shuts using a lever in his back, but really, he is not meant for breaking nuts! 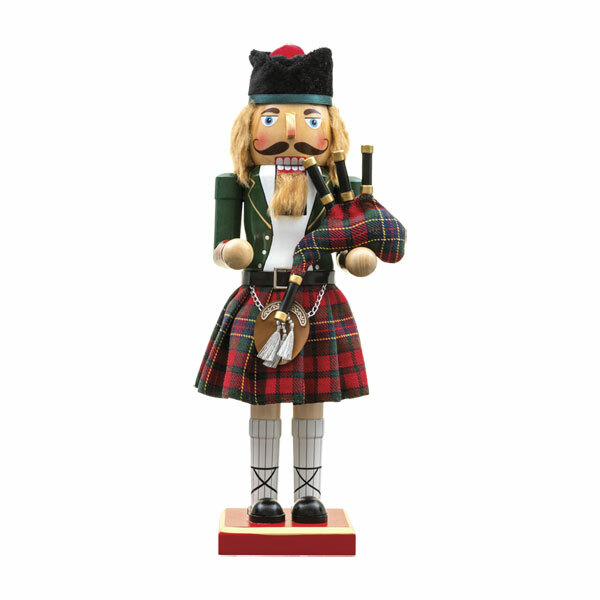 All the details are here - ginger hair, leather belt with metal buckle, a leatherette sporran with sporran chain and three tassels, black wooden shoes and painted cream hose with green flashes. He stands on a square gold edged red platform. This piper nutcracker stands 14 inches tall and will soon be your favorite nutcracker! Imported and gift boxed.